The art of the deal: what can Nobel-winning contract theory teach us about regulating banks? 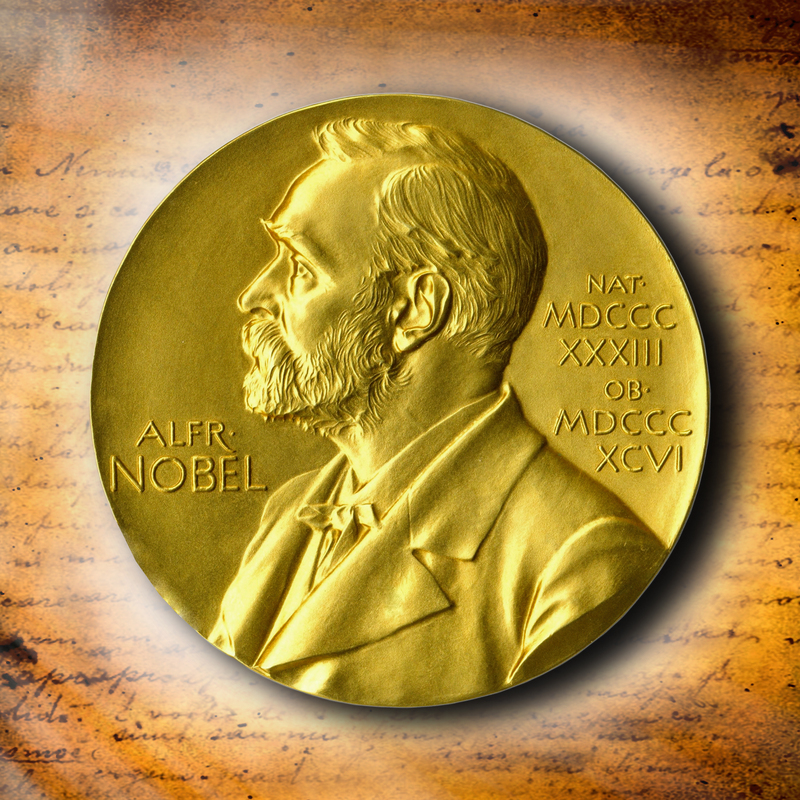 The 2016 Nobel Prize in economics has been awarded to Professors Oliver Hart and Bengt Holmström for their contributions to contract theory. The theory offers a wide range of real-life applications, from corporate governance to constitutional laws. And, as the post will hopefully convince you, contract theory is also helpful in regulating banks! To this end, we will unpack the outline of the theory and apply it to a number of real-world conundrums: How to pay banks’ chief executives and traders? How to fund a bank’s balance sheet? How to regulate banks? Striking a deal when some people have more information than others can be difficult. Contract theory shows us how to solve the problems caused by such ‘information asymmetries’. In some cases this requires designing sophisticated contracts (hence the name!). Information asymmetry can take two forms. First, think of getting mobile phone insurance. The insurance company cannot know what you’re doing with your phone – e.g. whether you take it to the bathtub– but it, not you, faces the adverse consequences of your actions. This is an example of ‘moral hazard’: you know more about your own actions than the insurance company, and may have different incentives and behaviours as a result. Second, imagine two people, one of whom is intrinsically more prudent than the other. Which one is more likely to buy mobile phone insurance? Clearly, the imprudent one. However the insurance company cannot tell the difference between them and may end up offering contract to the riskier client. This is an example of ‘adverse selection’: you know your type but outsiders do not. Oliver Hart and Bengt Holmström shaped the field with pioneering contributions. Bengt Holmström is well-known for the ‘informativeness principle’ stating that the compensation of, for example, an employee should depend on variables or signals informative about his action. Oliver Hart together with his co-authors pioneered the ‘incomplete contracts’ approach to contracting. The underlying ideas recognise the difficulties in writing ‘complete contracts’ that specify the rights and duties of contracting parties for every possible future state of the world This makes necessary the specification on how to allocate decision rights between them. Many interesting insights from contract theory are incorporated in current regulatory rules such as Senior Manager’s Regime or Remuneration Code. In the following, we highlight some other interesting lessons that regulators can learn from it. Employment relations are full of ‘information asymmetries’: managers cannot observe if an employee gives his best or slacks off; similarly, shareholders can’t monitor CEOs 24/7 and may not know if he wastes money on a grand office renovation. So they often use pay to incentivise good behaviour. Contract theory looks at how this should be done. Shareholders who want their CEO to increase the market value of the firm should link his pay to the share price. But it is not clear if it should always increase if share prices go up. Contract theory demonstrates that there may be reasons to limit the bonuses that successful bankers receive. Grossman and Hart (1983) show that it can be optimal to reduce an employee’s pay if the profits he earns are surprisingly high. If a bond trader produces stellar returns this is an indication that he may be likely to have taken reckless risks. Shareholders could discourage such gambling by slashing his bonus – even if every now and then, this punishes somebody who is simply exceptionally gifted. Providing managers with the right incentives can also affect the optimal size of firms. The repeal of the US ‘Glass-Steagall Act’ in 1999 contributed to the emergence of hulking universal banks. This move was widely welcomed: having larger banks should give rise to economies of scope, and should ensure that investment bankers internalise the effect that a big M&A deal will have on a client’s ability to repay the debt he owes to commercial banking colleagues. But contract theorists show that bigger is not always better. The owner of a small ‘boutique firm’ can threaten to walk away from a bad deal, and to take the ‘assets’ he owns (e.g. staff and customer relationships) with him. This gives him a strong bargaining position, and means that he is prepared to invest effort into the deal upfront. If this owner is turned into an employee of a large universal bank, he may lose unfettered control over these assets. This means he can’t simply threaten to take the assets with him when walking away from a deal – which puts him in a weaker bargaining position and undermines his incentives to put in effort upfront (Hart and Moore, 1990).This argument suggest that while splitting up large banks (e.g. to address systemic risk) may reduce economies of scope, smaller banks may ensure that senior decision-makers have more high-powered incentives. This may explain why small banks enjoy some comparative advantages. Banks can finance their assets via debt, equity, hybrid securities or a mix of them. Changes in banks’ capital structure may have big impacts on their market capitalisation and are usually under close watch of regulators. Why is the bank’s funding mix so important? Put differently, what roles do the ‘financial contracts’ between banks and their financiers play? Contract theory tells us that securities issued by banks are powerful devices to align interests between their various stakeholders. One area in which these effects are relevant is in the context of banks’ contingent convertible bonds’ (CoCos). CoCos are a type of debt that can be converted into equity in time of distress. It is hence often said that CoCos help to recapitalize banks when it is needed the most. CoCos may also have effects on managers’ behaviour even before conversion. Martynova and Perotti (2015) show that the chance of conversion in high leverage states offered by CoCos, which restores equity value , makes them better in reducing banks’ incentives to “gamble for resurrection” than bail-in debt . However, this incentive effect of CoCos depends on the design of conversion terms. A CoCo whose principal is written down has a stronger impact than a CoCo that is converted into equity. This is because equity dilution induced by the latter reduces existing shareholders’ skin in the game and so increases their incentives to gamble just before conversion. “It is natural to assume that banks have better information regarding their own risks and returns than a regulator does” (Freixas and Rochet, 2008). Taking this view it is possible to apply insights from contract theory to prudential regulations. This is important because conflicts of interests between banks’ stakeholders create the need for regulation and supervision in the first place. But regulations can lead to unintended consequences. One example is deposit insurance introduced to avoid costly ‘bank-runs’. Such insurance makes depositors less interested in monitoring banks’ risk and thus demanding appropriate compensation for it. This, together with banks’ expectations about such government guarantees, increases banks’ risk-taking incentives. How can such moral hazard behavior be limited? One regulatory solution is risk-based capital requirements. The idea is simple: the riskier a bank’s assets, the more capital it should have. However, a problem exists in terms of implementation. Because banks are better informed about their own risks, institutions allowed to determine risks using their own models, under the internal ratings-based (IRB) approach, may have incentives to under-estimate risks. So, what does contract theory suggest to help ensure that IRB banks don’t game risk-weight estimation? One solution is supervision through auditing and risk-insensitive requirements. Using concepts from contract theory, Prescott (2004) examines the regulatory framework that induces banks to truthfully report their level of risk when regulators cannot monitor them perfectly. He found that such a framework should subject low-risk banks to a risk-sensitive capital requirement and high-risk banks to very high but risk-insensitive capital standards. In the real world where banks can both undertake excessive risks and underreport such risks, as recognized by the current capital framework, a combination of risk-weighted capital requirement and a non-risk-based leverage ratio might indeed be optimal. Another tool to enhance banks’ supervision is stress testing. Yet stress testing frameworks are also affected by similar moral hazard problems, since they rely (to some extent) on the banks’ own risk assessments which are hard to verify. This approach allows banks to potentially ‘game’ the stress test by making excessively optimistic assumptions. While efforts by regulators to challenge banks’ assumptions help address this problem, contract theory can also help. One solution would be to impose “sanctions” on banks that make overly optimistic assumptions or that don’t have solid models. Contract theory is a powerful framework that can be applied to several contemporary situations. Regulators have already recognized the value of the framework in shaping existing policies, but we believe there is scope to do more. We would like to conclude by joining professor Holmström in wishing that contract theory could further inform (not only) the corporate world, but also regulatory frameworks. Caspar Siegert is a senior economist in the Macroprudential Strategy and Support Division, Caterina Lepore works in the Bank’s Stress Testing Strategy Division and Quynh-Anh Vo works in the Bank’s Policy Strategy and Implementation Division.